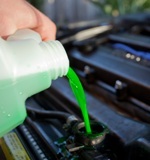 We make your machine more exciting by using the latest and most innovative lubricating technology in our products. When your bike is in peak condition it offers you a high degree of reliability and enhanced control, giving you an exhilarating and enjoyable ride at all times. 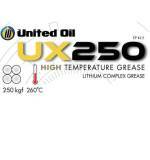 To ensure every bike performs to its peak potential, United Oil MX range of products is tailored for different types of bikes and riding styles. High Temperature Grease - high performance, versatile, long life, extreme pressure (EP), Lithium Complex thickener with latest additive technology for high temperature oxidation performance, anti-wear and anti-corrosion properties. 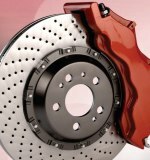 For both disc and drum type brake systems, engineered for the critical link between the brake pedal and the brakes. Formulated with high quality glycol and glycol ether fluid, designed to function over wide temperature and humidity ranges. Meets requirements of Dot 3, Dot 4 and DOT 5.1.